Last year I bought myself the M&S beauty advent calendar. I liked it so much that Marc bought one for me again this year. At the beginning of this month we had a family discussion, the topic was fantasy advent calendars. I said the teen would have a skateboard related one, Marc’s would be full of tools and mine I laughed would be full of gin! …the teen would have a skateboard related one, Marc’s would be full of tools and mine I laughed would be full of gin! 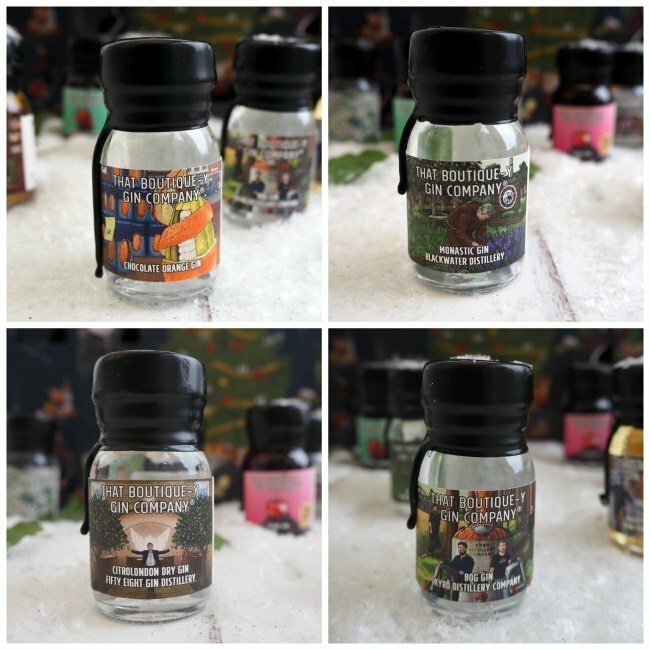 Yes it is A Gin Advent Calendar! A voluptuous texture with powerful rhubarb notes coming through, complex and fresh. A zip of citrus, pinch of spice and then the unmistakable dry flavour of juniper. My version of the above: pink and fruity, delicious. I may even have to buy the big bottle! 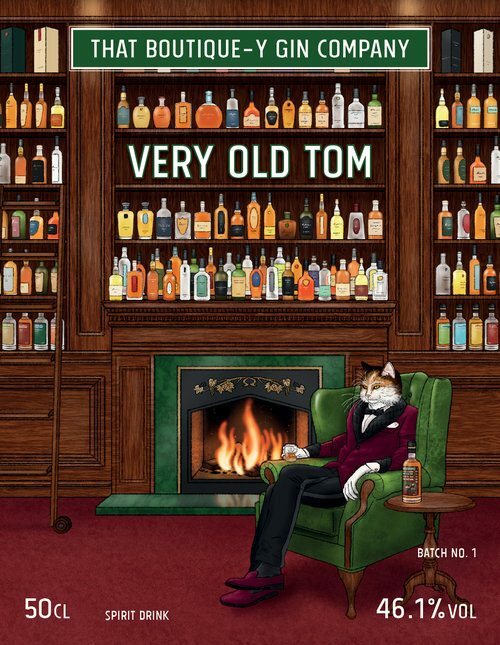 The colour of this gin quite frankly looks like cats pee, so how delighted was I to discover that it is called ‘Very Old Tom’ The label shows an old Tom cat sitting by the fire in a smoking jacket. You can see a larger version on the box too. 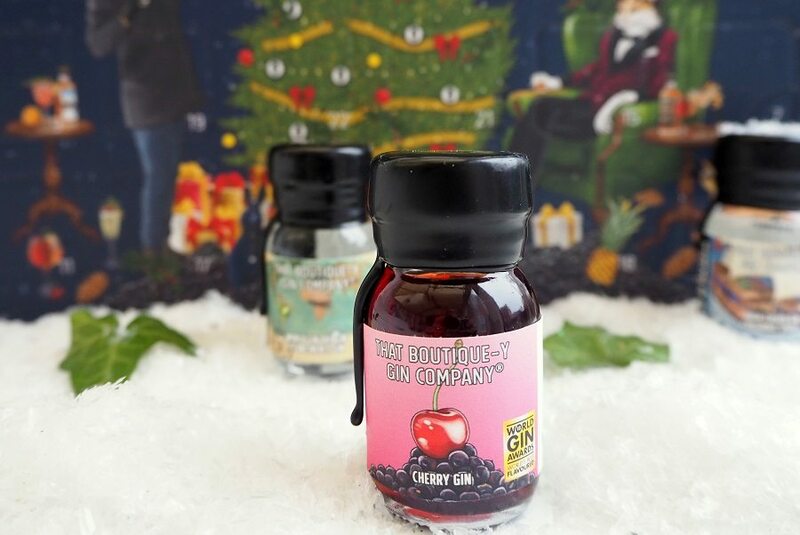 I am not a fan of cherry flavoured anything so this ‘Cherry Gin’ will probably be drunk by Marc, who also loves a Sloe Gin. I tried it shuddered and gave it back to Marc he liked it and said it was a little like sloe gin? 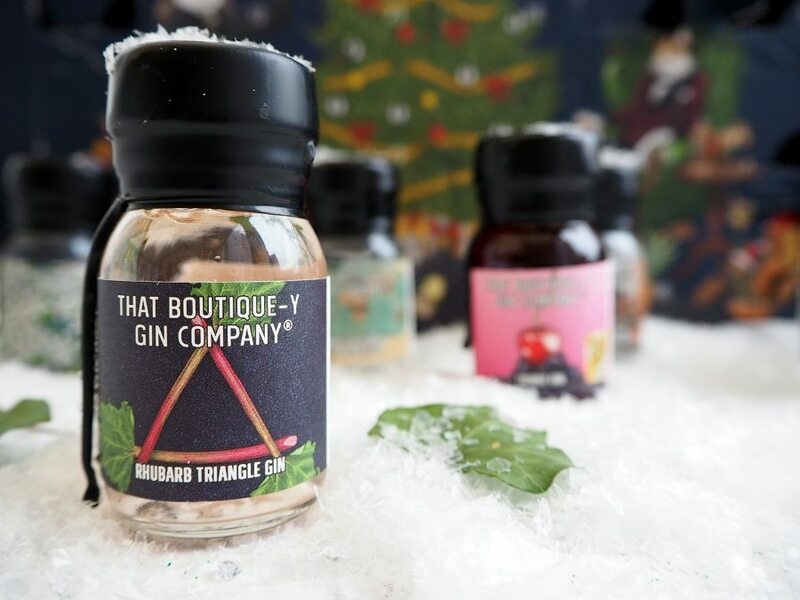 The outright winner here has to be the ‘Yuletide Gin’ it has edible gold leaf floating around in it. 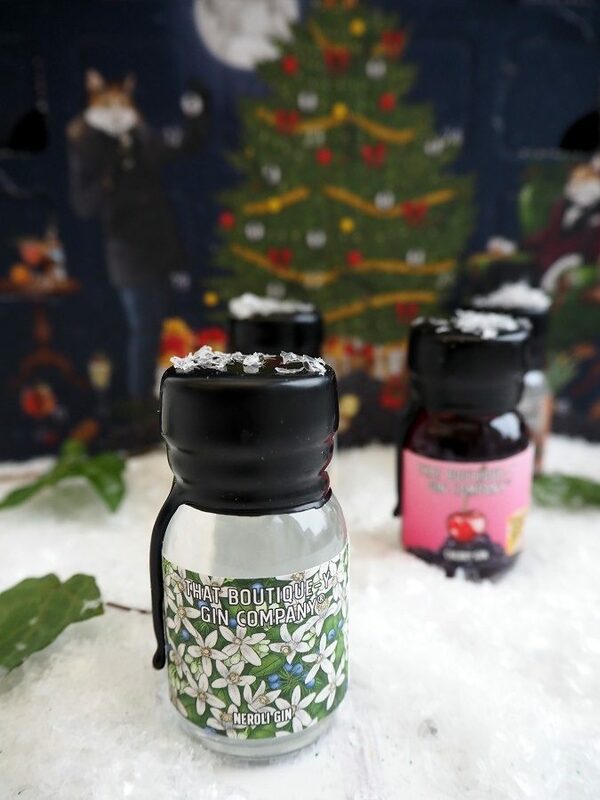 So pretty like a tiny gin snowglobe. 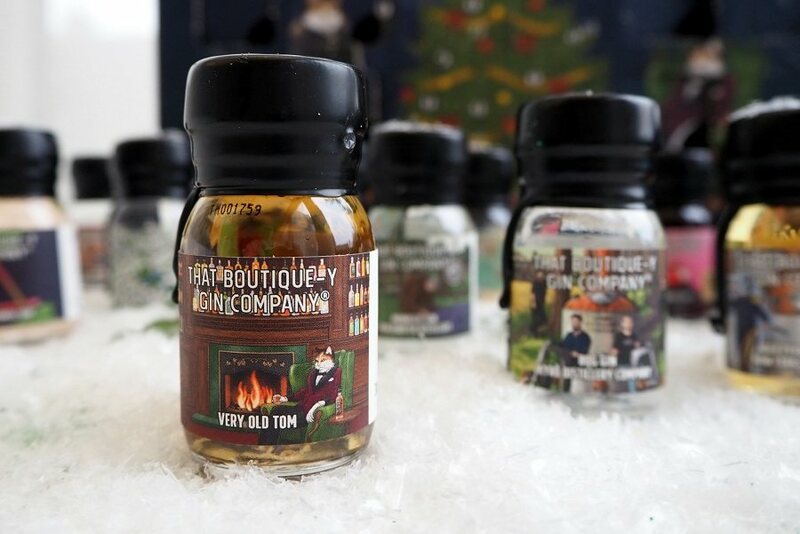 This is one for sipping on Christmas eve whilst sitting by the fire. 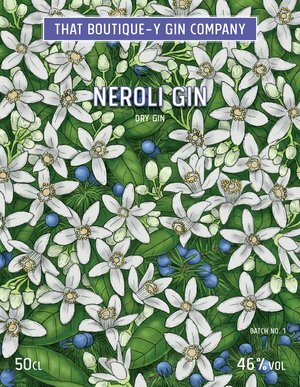 Neroli Gin has a beautiful floral label, I am hoping it will taste just as good? 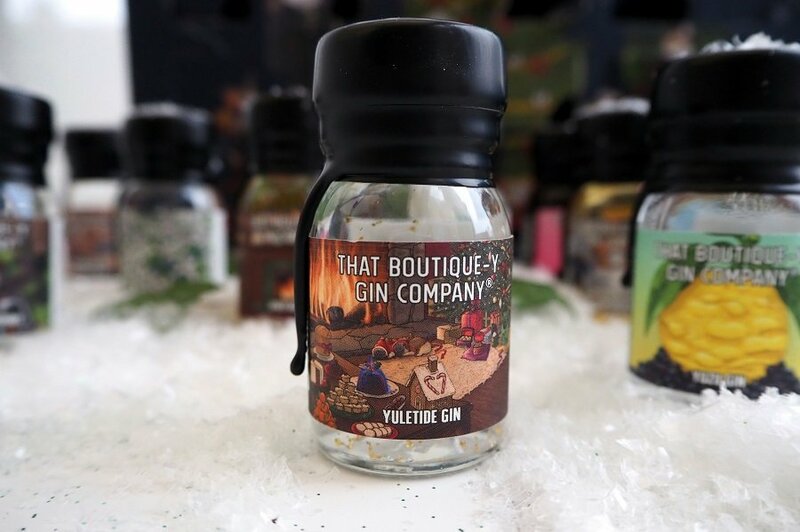 THAT BOUTIQUE-Y GIN COMPANY BOTTLES DELICIOUS GINS FROM THE WORLD’S BEST DISTILLERIES, BRANDS AND MINDS. I am not going to show you every gin because it will ruin your the suprise. Needless to say this is a superb advent calendar and one I would be happy to receive every year! 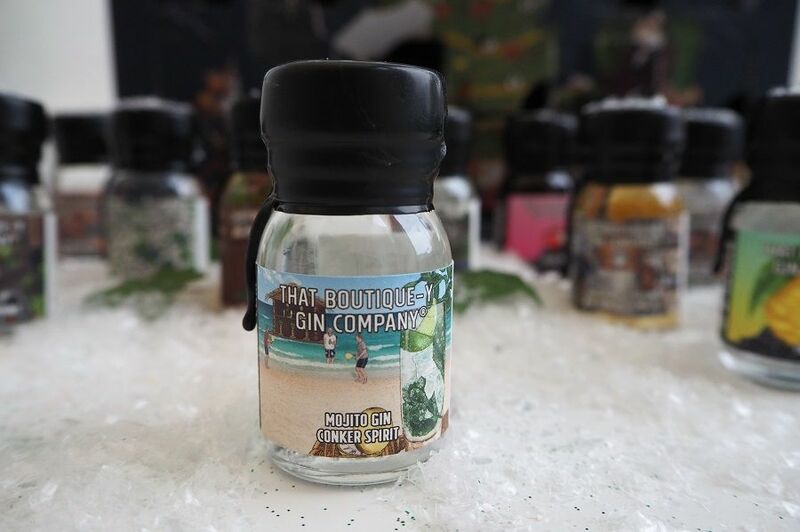 Are you a Gin lover? Or do you know someone that is? Perfect present idea, you are very welcome. Thanking you in advance every little helps right? Posts from November you may have missed? This fabulous Advent Calendar was a Gift From Atom Brands. Lucky you! 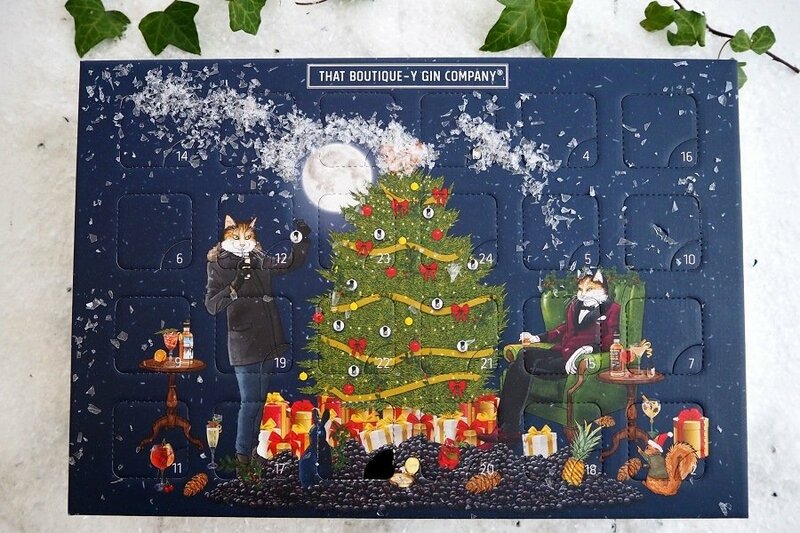 I’d love to receive a gin calendar in the post! My youngest son wants the pork scratchings one he spotted the other day, I’d be surprised if you can get 24 different flavoured pork scratchings. I have voted for you, good luck. As you can imagine I was over the moon, cheers! Love the pork scratchings idea, bless him. …thank you so much for the vote I’m going to need all the help i can get for this one! Now that is a interresting calendar! Enjoy! Nancy rest assured this is one advent calendar I cannot wait to get stuck into cheers!